The Celerio is the new Alto. Well, I'm saying that not only because it is actually the all-new Alto for the global markets, but also because it aims to be a true-blue people's car like the Alto line-up has always been. 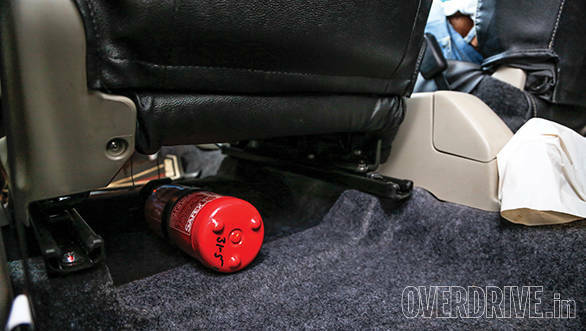 It addresses the current needs of the market and therefore it has the uber-convenient automated manual transmission, there is a diesel variant on the horizon and of course, it now has a CNG variant. Since CNG claims to be the cheapest to run amongst the current lot of propulsion techniques that are abundantly available, we decided to put the Celerio CNG through a test. 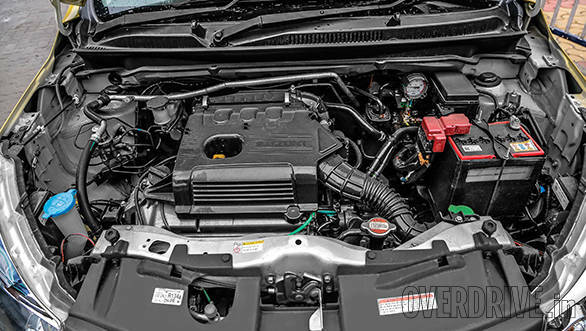 Maruti has christened the CNG variant Celerio Green and it is available with the same engine that powers the petrol car - a 1.0-litre K Next mill. Since the CNG variant was always on the cards, the engine has been optimised for this CNG operation. The refinement levels are on par with that of the petrol propulsion. 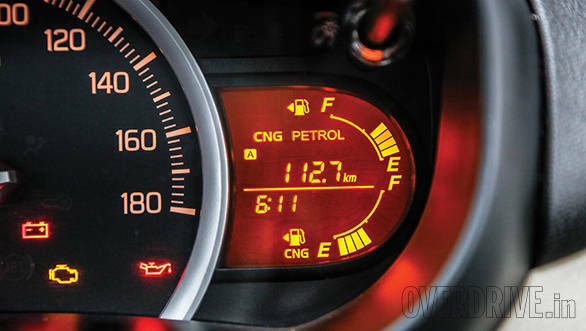 In fact, the only way to tell that the Celerio is running on CNG is the indication on the fuel gauge. The fuelling can be switched between petrol and CNG on the fly and only needs you to go off the throttle while doing so. But it is recommended to come to a complete standstill to make the switch. Switching from petrol to CNG emits a quiet whoosh, thus certifying that the switch is complete. When it burns CNG, this engine produces 59PS and 78Nm compared to the petrol mode's 68PS and 90Nm. Despite the deficiency, there isn't a very noticeable difference in the perceived acceleration of the two fuelling systems  be it from standstill or while in motion. Inherently, the Celerio's engine isn't very powerful and therefore pulling overtakes does require you to drop a gear often or rev the engine. The characteristic doesn't change with the CNG. Talking numbers, while the Celerio Green managed to run from naught to 100kmph in 16.8s in petrol mode, it went down to 19.4s for CNG. 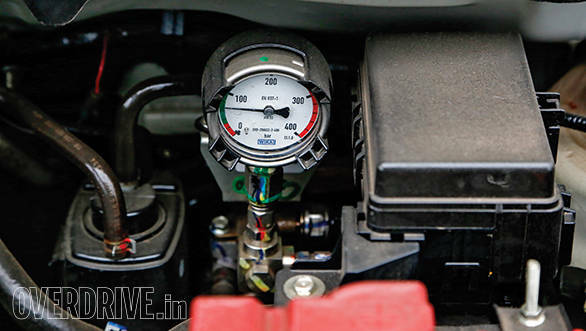 Even the 30-80kmph roll-on times showed the CNG to be slower by 1.2s than the petrol. 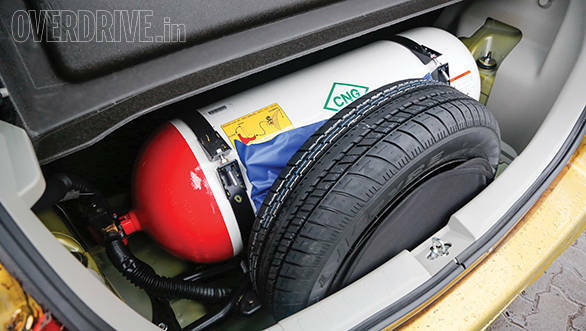 The added weight of the CNG cylinder in the boot has been well compensated for with a different suspension setup. Neither do you feel like you are lugging around a heavy tail, nor does the suspension feel stressed. But the boot has sacrificed most of its space. The spare wheel is mounted vertically in front of the cylinder and is therefore more convenient to access than in most other CNG / LPG setups. Despite the cylinder's 10kg capacity claim, it is only good for about 8kg of compressed natural gas. The petrol tank on the other hand, measures 35 litres. 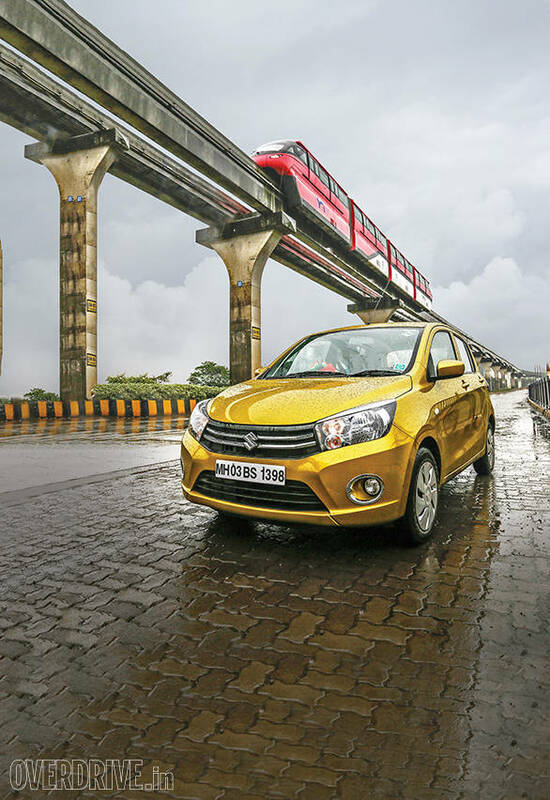 On pure petrol propulsion, the Celerio returned an overall fuel economy of 17.7kmpl while the CNG mode managed to return 25.7km/kg  thus providing a combined range of around 825km. Considering that petrol and CNG cost Rs 76.7 per litre and Rs 38.91 per kilogram during this test, the running costs came to Rs 4.3 and Rs 1.5 per kilometre respectively! With that cost advantage, recovering the Rs 60,000 odd premium that you pay for the Celerio Green over the petrol VXi, would take about 21,500km. 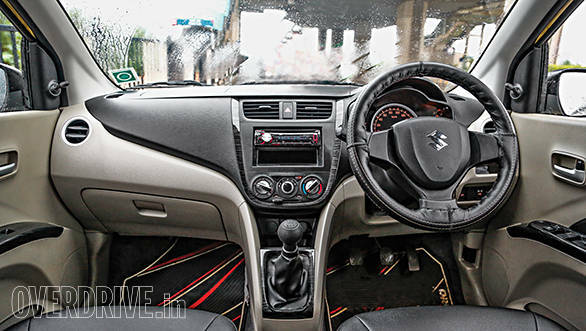 The general service costs for both the Celerio petrol and the CNG variants is almost identical. There's no doubt then that the Celerio CNG is much cheaper to run than its petrol counterpart. There are however two problems. The first is the lack of enough CNG stations around the country and the fact that this variant is only available on the VXi trim - without the option of the automated transmission. You would, therefore, have to do away with some creature comforts and safety tech like Bluetooth telephony, steering mounted controls and anti-lock-brakes. But if you live in a metro, finding CNG stations wouldn't be too difficult and then the Celerio Green, with its low running and ownership costs, would be just the ideal urban commuter for you.